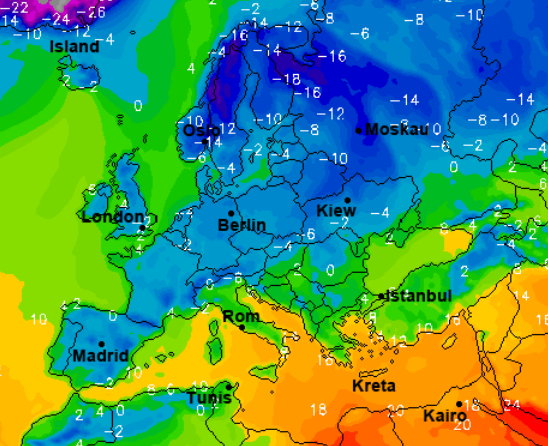 Do record lows mean global cooling? Re: Do record lows mean global cooling? scrmbldggs wrote: A small black dot? Scrambled eggs and scrambled thoughts! I must say a very honest self evaluation! Moscow has seen its heaviest snowfall in a day since records began, with more than 2,000 trees brought down and air travel disrupted, officials say. More than half the monthly average snow - 38cm (15 inches) - fell on Saturday, beating the previous record from 1957. At least one person has died and several injured after Moscow experienced its heaviest day of snowfall in a day since records began, Russian officials say. Moscow's meteorological service said Moscow had seen more than half its average monthly snowfall in the space of 24 hours, beating the previous record set in 1957, Interfax news agency reported on February 4. To the Moderators: shouldn't this thread be pulled from Climate Science and put into the personals? I suggest: "Bad Jimbo's Snow Globe"
Other categories no doubt could be used as well.........but not climate. bobbo_the_Pragmatist wrote: To the Moderators: shouldn't this thread be pulled from Climate Science and put into the personals? I report the global news, and Boobo the intellectual fascist wants to suppress any opposing view points by removing the thread. Read again. ..........or.........closer than most of what you post. bobbo_the_Pragmatist wrote: Read again. ..........or.........closer than most of what you post. The head of the Environmental Protection Agency on Tuesday doesn't think global warming is harmful to humans and suggests warm climate could be beneficial. That's why I post here, to encourage meaningful debate, despite all the venomous ad Homs some posters issue to suppress debate! Last edited by Jim Steele on Wed Feb 07, 2018 7:23 pm, edited 1 time in total. Heavy snowfall and widespread ice have led to another day of travel disruption, amid warnings that Britain is set to be gripped by freezing weather all month. As police forces told of treacherous driving conditions on Tuesday after the mercury plummeted further overnight, the Met Office said a "prolonged cold period" with below average temperatures was expected for "much of February and perhaps even into March". What was predicted to be the UK's coldest week of the winter began with lows of -6C on Monday. Forecasters said temperatures will dip further on Tuesday night, with predicted lows of -14C before the weekend. There's no debate. The broad outlines/science is KNOWN. Only hucksters and charlatans deny the science. bobbo_the_Pragmatist wrote: There's no debate. The broad outlines/science is KNOWN. Only hucksters and charlatans deny the science. 2. A) Good Science: Galileo, “In questions of science, the authority of a thousand is not worth the humble reasoning of a single individual. B) Anti-science: The science is settled. You are a denier. 4. A) Good Science: Carl Sagan writes, “Encourage substantive debate on the evidence by knowledgeable proponents of all points of view. Arguments from authority carry little weight. 5. A) Good Science: The motto of Sir Isaac Newton’s Royal Society of London for Improving Natural Knowledge “Take No One’s Word for it”. In other words we can only trust science because it is well vetted by independent investigations. scattered with clues of what happened that January night. A woman's scarf. A diaper. Empty cans of tuna fish. A plastic bag of sugar. An empty box of Turkish chocolate biscuits. A single cheap Syrian-made woman's shoe. Several white, mud-spattered rubber gloves. It was here, last month, that 17 Syrians froze to death in a night-time snowstorm while trying to cross the mountains into Lebanon. 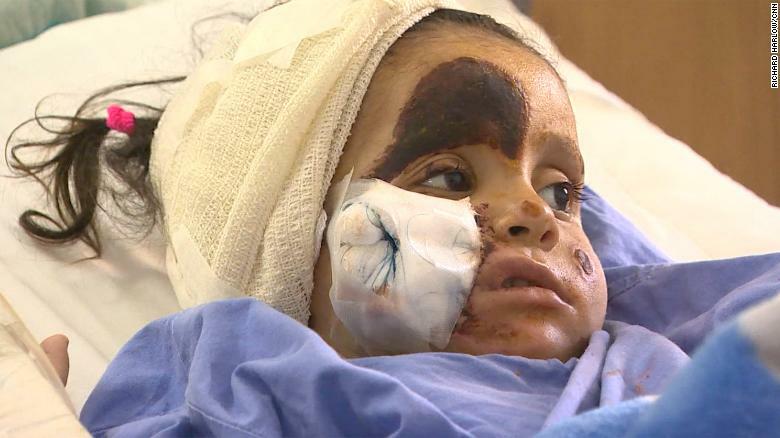 Three-year-old Sarah is one of the few who survived. She now lies in a bed in the Bekaa Hospital in nearby Zahleh, two intravenous tubes taped to her small right arm. Frostbite left a large dark scab on her forehead. A thick bandage covers her right cheek. Another bandage is wound around her head to cover her frostbitten right ear. scrmbldggs wrote: What's wrong with you? Me? Are you so heartless you don't care about people freezing to death? Why do people not care about the increasing cold tragedies!?!? Is it only politically correct to care about warm tragedies??? Nearly a thousand fishing boats for marine farming are surrounded by sea ice in Jinshitan Fishing Port, northeastern China's Liaoning Province. Sea ice in the northern Bohai Sea and the Yellow Sea has increased quickly because of a recent temperature drop. In Liaodong Bay, the ice has covered 14,608 square kilometers, with nearly half of the sea surface covered by ice floes. Also, if you have issues, why don't you get yourself some glasses? On Feb. 3, during a dry run for the ceremonies, security scanning machines stopped working because of the cold, leading to some checks being skipped. The credit card readers also froze up, a problem for Visa, an official sponsor. The cold is destroying our technology! A few spectators at a concert held at PyeongChang Olympic Stadium in November were hospitalized with hypothermia, though Lee explained that they had been wearing “autumn clothes.” Many of the 20,000 or so spectators at a dress rehearsal this past Saturday left early, too. Will Cold Ruin the Olympics? Erie broke its all-time snowiest season record on Wednesday. The previous record was set 17 years ago in 2000-01. 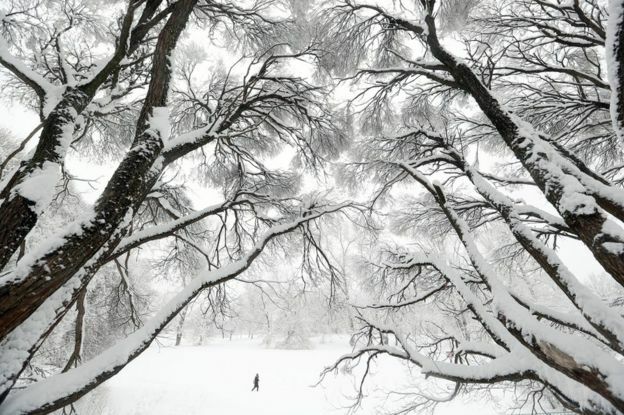 The city still has 30 percent of its average snowfall yet to happen through spring. The record for the snowiest season has been broken in Erie, Pennsylvania, and it's only early February. ROTFLMAO. There's a scientific post?!?!?! Did you know the Climate Change Forums has the 4rd most posts of all the forums? That shows how desperate you guys are. Jim Steele wrote: Did you know the Climate Change Forum has the 3rd most posts of all the forums? scrmbldggs wrote: That shows how desperate you guys are. Are you referring to all the posts made by Gawdzilla? 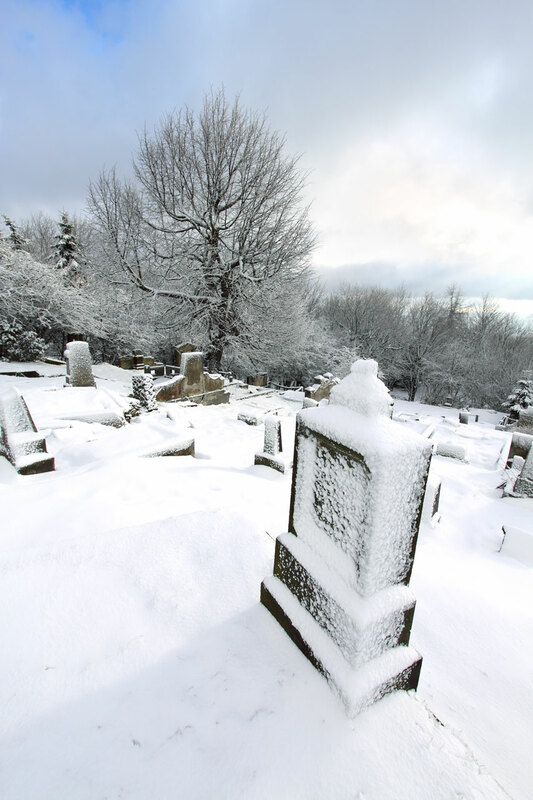 The Heartache of Death and Mayhem by Cold Continues. Stop Global Cooiling! Seven people were killed in snow-related accidents and at least 34 injured in related mishaps as record snowfall kept traffic at a standstill across much of the Hokuriku region of northwestern Japan. Oh wow, "Users browsing this forum: 1 guest". And they are most likely recooiling. 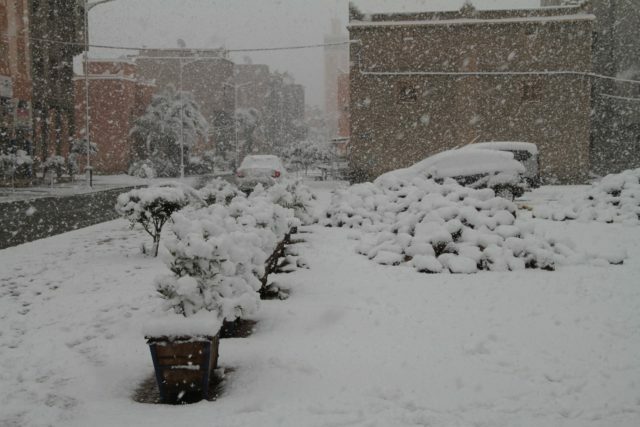 After several decades of extremely dry weather, residents in southern regions of Morocco finally woke up this morning to an unusual snowfall that currently impacted Ouarzazate, Taroudant and even Zagora, which has not experienced snowfall for fifty years. Aww, the show is just for me? How sweet. scrmbldggs wrote: Aww, the show is just for me? How sweet.